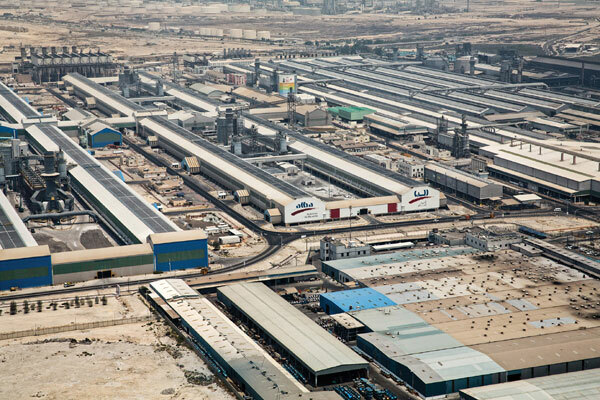 Aluminium Bahrain (Alba), one of the world's leading aluminium smelters, said on Sunday its third-quarter output rose 2.9 per cent despite significant drops in London Metal Exchange prices. The sales figures reached 238,862 metric tonnes (mt), an increase of 5,940 (mt), versus 232,922 mt in third quarter of 2014 while production figures jumped by 2.9 per cent year-on-year (YoY) to top 240,351 mt, said a statement from the company. For the nine months of 2015, Alba’s sales figures stretched to 699,362 (mt), up from 689,203 (mt) in the same period of 2014; while production figures increased by 19,521 mt to reach 717,029 mt year-to-date, it said. In addition, Alba closed the third quarter of 2015 with its value-added sales averaging 64 per cent of total shipments versus 67 per cent for the same period in 2014. The value-added sales for the nine months of 2015 averaged 65 per cent of total shipments versus 66 per cent for the same period in 2014, added the statement. “We will continue to push the limit on our cost initiatives and accelerate our efforts to remain cost competitive,” he added.